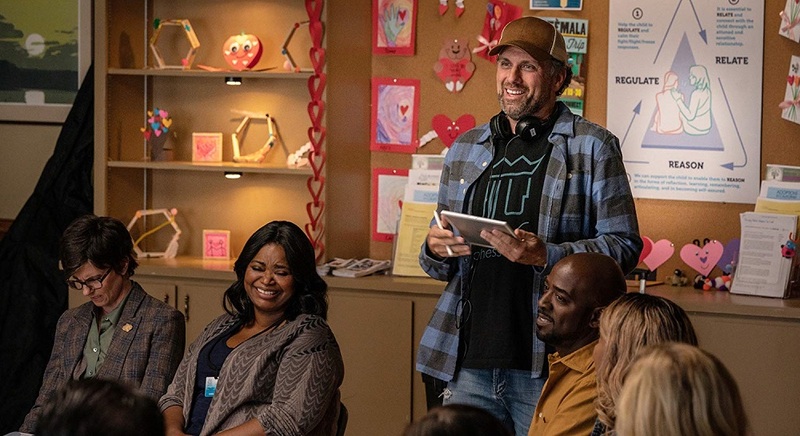 If it feels like making Instant Family was a deeply personal experience for director and co-writer Sean Anders, that’s because it was. While far from a true story, elements of this dramatic comedy dealing with the ups, downs and glorious in-betweens of foster parenthood were drawn from his own family’s experiences. He and his wife made the decision to bring three siblings, including a teenager, into their home and it changed their lives forever. This was the starting point for the Horrible Bosses 2 and Daddy’s Home director’s latest endeavor, and as such this ended up making the film one he wanted to get the word out about every and anyway he could. 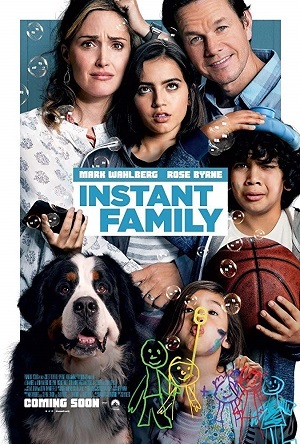 Instant Family stars Mark Wahlberg and Rose Byrne as a happily married couple who bring three foster kids into their home, the eldest of which is played by talented newcomer Isabela Moner. Co-written with frequent Anders collaborator John Morris, the movie is an honest, sweetly sincere drama that deftly tugs at the emotional heartstrings with relatively subtle eloquence. It’s also quite funny, the filmmakers managing to balance laughs and tears with somewhat surprising dexterity. Sara Michelle Fetters: When you were sitting there, wondering what you were going to do next, when did you know it was the right time to tell this story? When did you realize it was the one you needed to tell? 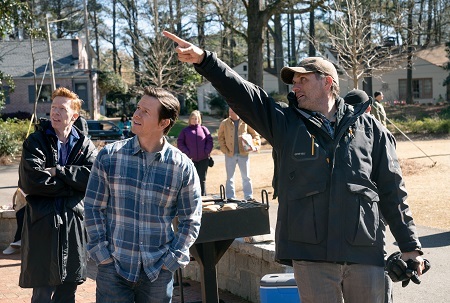 Sean Anders: When you’re living your life, even when you make movies for a living, you’re not really thinking, “This is a movie,” you’re just getting through your life like anyone else. I make movies. My life isn’t supposed to be one. You just don’t think like that. I was a few years into my process at this point when my writing partner John Morris said he thought it was time for us to consider doing a movie about [my wife and I] adopting our kids. I’d been telling him all the stories, telling him about everything that was going on, and it was all new to him. But it was new to me, too. When I first got involved, I didn’t know how any of it [the adoption process] worked. I didn’t know I was going to have to take classes. I didn’t know I was going to learn all this about these kids, about these families. That I was going to go support group meetings. And that’s where the script started. It started from that place. Nobody really knows about any of this. But, because John and I make comedies, we started talking about whether comedy was the appropriate genre for this kind of story. We knew if we made it a comedy it would have to be different than what we normally do. But we also felt it had to be a comedy, because so many of the stories that I had told John were really funny. It’s all such an awkward situation. The whole thing. The whole process. It’s life, you know? Real life. That’s where it all came from. That’s where the script started. Sara Michelle Fetters: But how hard was it to mine this territory? This might be a fictional film, but so much of it is mined from your own family’s story. Your own family’s lived experiences. It was difficult. Yes. But difficult maybe in ways you wouldn’t think. When you’re creating a story from scratch, you kind of have the opposite problem then if you were just jotting down your own lived experiences like if you were writing a biography. You’re staring down at blank pages. You’re trying to add things to this world you are creating. When a story comes from your reality, you have a million things to start with and so you’re trying to take things away, trying to pare it down to a story that you can tell in limited time. Because this movie isn’t a biopic about my family we couldn’t do that. While we weren’t working from scratch, this is still a fictional story. But there are stories here inspired by my family. Additionally, we also worked with a lot of other foster families. They all had amazing, wonderful, heartwarming and heartbreaking stories. For a while there, the floor of our office looked like the detective’s office who was hunting the Zodiac killer’s. It was just index cards with a million different ideas on them strewn all over the place. I’m sure you can imagine but it was really hard to boil all that down into one coherent script, let me tell you. Sara Michelle Fetters: What I love about Instant Family, and it is also what I love about Elizabeth Chomko’s What They Had, is that you do find the humor in some incredibly tough subject matter. That you make it okay to laugh. With this film, humor and laughter are almost like a defense mechanism for some of the characters. That’s real. That’s real life. Sean Anders: It is. That’s why it was so important to John and I to reflect that in the story, to find that humor and to make it all right for the audience to laugh. But it was always obvious that this was never going to be anything to laugh at. It was a film we wanted people to laugh with but not at, and that’s an important distinction. The support group, for example, in real life those support groups have so much laughter in them. People are telling insane stories. I mean heartbreaking, difficult stories. Stories overflowing in life. And people are laughing. They’re laughing because you have to. You have to find the humor in all of this. I feel we’re in a weird time for laughter right now in our country, and maybe in the world, where people are incredibly sensitive. It makes people think that you can’t laugh, that there can’t be any laughter. Everything has to be very serious. We have to be angry. We have to be focused. I think there’s a place for all that stuff. But I also think that we can’t lose the laughter, because laughter is the thing that gets us through so many things, so many tough times. For me and my family, we laughed a lot, even during some of the hardest times. It always felt natural to me for this to be played as a comedy just as long as we paid the proper respect, which I think we do, to the difficult parts of the subject matter. Sara Michelle Fetters: Coming off of Horrible Bosses 2, the two Daddy’s Home films, was it difficult to find that balance? Those are, after all, comedies that purposefully take the humor to a whole different kind of place than this one does. Was it hard to reign yourself in like that? Sean Anders: Sure. I guess. 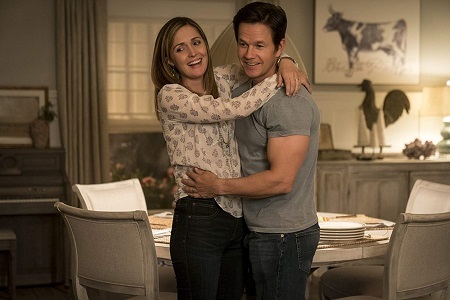 It’s just a different form of comedy and, as I said, both John and I knew going in Instant Family would be a far different kind of comedy than Daddy’s Home was. A lot of the movies that I’ve worked on, they all kind of came my way through different avenues. For example, Daddy’s Home, one of my main goals in Hollywood was to work with Will Ferrell. And when the opportunity to work with Will Ferrell on Daddy’s Home came along I jumped at it. Because A) it was Will Ferrell, but B) because I knew what his character was feeling because I’m not the biological father to my kids, kids who I love dearly. That was my way into that movie. Yet from the beginning, it was understood by everyone that that was going to be a pretty broad, screwball comedy. And I love that kind of comedy! It was really fun to write. It was fun to make. It was definitely fun to watch with audiences. But with this movie, it was pretty obvious from the beginning that you don’t make a screwball comedy about foster parent adoption. It was going to have a different tone. I really enjoyed working on this tone. Working with Isabella Moner who plays Lizzy, working with the families whose stories helped inspire the plot, working with the social workers that consulted on the project, feel like we really got to get into some really interesting psychological areas. In fact, we started to talk about how there should be a new type of therapy called, “Movie Therapy.” I would talk to these families and they would open up to me because they really wanted the movie to be honest and real. They would tell me these amazing things, and then they would kind of have these small breakthroughs while they were telling me their stories. And it was good for me, too! I got to spend a year of my life just talking about how much I love my kids. That’s good for anybody. Sara Michelle Fetters: I like that you brought up the context of this film in relation to current events and our collective need for laughter. But it also feels like a lot of the themes in this film in relation to hope, and to family and to togetherness, to kindness, to finding the ability to both forgive and to ask for forgiveness, to me, I can’t help but feel as if those are themes that we need now more than almost anything else. Sean Anders: I agree with you completely. Sara Michelle Fetters: In this current political and social climate, do you have these conversations with the studio? Did you have to convince them to allow you to fashion your script and your story in the manner that you did? Sean Anders: The simple answer is that you just try not to have that conversation with them; you just do it and hope people respond positively to what it is you’ve created. I think a lot of those themes that you’re talking about, most of them are just baked into who I am. I’m a big Frank Capra fan. I like movies that make you feel good. I like to make people feel good when I make movies, and you don’t always get a maximum amount of respect for doing that. I accept that. But I also know that my family has made me feel better than anything in the world. I’m a complete cheese ball when it comes to my kids and to my family and I don’t care who knows it. For me to tell this story, and to take people through some traumatic, difficult times, but to take them into this laughter and this love that I get from my family, it was never a conversation about whether or not this is something that we need right now. It was a conversation as to what was the best way to serve the story. That always had to be paramount. But it definitely is what I think we need right now. For me, at this time when people are so sensitive and so angry, so upset all the time, it was wonderful to be able to spend some time just talking about how much I love my kids. I feel this is the one thing we all have in common. We all love our kids. We all want the best for our kids. Even if we’re diametrically opposed in a million other ways, we got that going for us. Sara Michelle Fetters: You’ve worked with Mark Wahlberg a few times now. How did you know that he could pull this type of comedy off? How did you know he wouldn’t play things too broadly? Sean Anders: Well, Mark always seems to intuitively know just how far to take things. When you think about the comedy that Mark did in Boogie Nights, for example, which is not considered a comedy, Mark if funny as hell in that movie. That was really grounded comedy that he was doing. In other parts of that movie he was doing really intense drama. It’s an incredible performance. So I never had a doubt for a second. Mark approaches every role with incredible sincerity. He has a look on his face where he’s just there, that he’s in it, that’s he’s in the moment. That’s what we needed here. When Mark is all excited after he sees the speech from the girl and the first foster parent instructional class and he’s talking about her like she’s a house and he’s all worked up, he totally commits to that moment. That’s all him. He’s a little dopey in that moment, but he’s also worked up and genuinely excited. Later, when we get to the more emotional moments in the movie, he’s just so sincere. I knew we needed sincerity from this character. And Mark oozes sincerity. Sara Michelle Fetters: And then there is Rose. How are we not shouting her name from the rooftops as one of the great working actresses of today? How does she not have two Oscar nominations under her belt right now? Why is she continually so underestimated? Sean Anders: That’s so true. All of it. And she’s so fantastic in this movie. Sara Michelle Fetters: What was it like, standing there behind the camera and watching her give this performance? Sean Anders: I’ll be honest. The truth is, and I’ve said this to Rose, is that I sadly underestimated her, too. When she came in, I was so excited and happy that she wanted to be a part of our movie, but I never knew she was going to murder the material like she does. Don’t get me wrong. I had seen her in different pieces. I’d seen her in dramas. I’d seen her in horror movies. I’d seen her in comedies. But this one she really has to do it all. I mean, there’s that scene where they go to the Fernández family for advice. The scene goes from fairly ridiculous comedy right into some pretty heavy moments of drama. Then, when they’re walking away from the house and Rose is hugging Mrs. Fernández, that’s all Rose. That wasn’t in the script. That was just me saying to her, “Why don’t you acknowledge that this woman just slapped you?” And Rose just suddenly did this amazing, totally unexpected thing. I hope this movie is a big, giant hit and it makes people stop asking that question about Rose. She’s incredible. Sara Michelle Fetters: The kids. How hard were they to cast? Sean Anders: Not that hard, actually. Julianna Gamiz came our way fairly early in the process. We knew pretty quickly when she walked in the door she was going to be Lita. With Gustavo Quiroz, that is an interesting story. His character, Juan, was written differently than what wound up in the movie. So when he came in and read he wasn’t quite right for the character that we had written. But we liked him better than that character, so we rewrote Juan to suit him. The great benefit of that is that he sort of inadvertently became more like my real son. He came in with such a big heart. Then there is Isabella. She had worked with Mark before [in Transformers: The Last Knight] and I was initially against the idea of putting her in the movie. She had just worked with Mark as kind of a daughter figure, and I didn’t know if it would be a good idea to have them repeat that. But then she came in to read for Lizzy and me and these two other grown men there for her audition were completely in tears. From there it went from thinking it wasn’t the best idea to being absolutely desperate to get her in the movie. Sara Michelle Fetters: I was going to ask you about casting Isabella. I mean, you ask a lot of her in this movie. She has to carry so much of it. She does carry a lot of the movie. That’s true. The whole thing balances on her throughout the movie. Once Lizzy shows up, she’s the center. Even just her entrance. I mean, how good is she in that entrance? She’s got this confidence, this strength, and yet there’s this vulnerability underneath all of it. It’s a silly little intro that she is just incredible in and the scene becomes so layered because of what Isabella brings to it. Sara Michelle Fetters: When the movie was locked, when there were no more changes or edits to be made, what went through your mind? What were you feeling? Sean Anders: Well, it’s weird to pin that down. I guess if I had to boil it down to a moment, it was the first time we showed the film to an audience. We were always trying to find this balance between the drama and the comedy, but you don’t know if you’ve found that balance until you put it in front of an audience. When we saw the way the very first audience was reacting to the movie, both with the laughter and the emotions, it was one of the greatest thrills of my life. I felt we made a movie that no one else could’ve made. I’m so incredibly proud of the movie. If I never get to make another movie, I’m good. I mean, I hope I do, of course. I hope I get to make another movie. But if I don’t? I’m good.